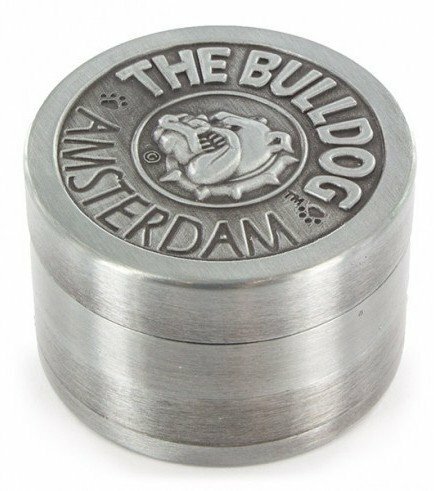 This superb metal grinder features the logo of The Bulldog, the most well-known and iconic coffee shop in Amsterdam. This heavy duty, 4-part grinder with it sharp, diamond-shaped teeth definitely won’t let you down. 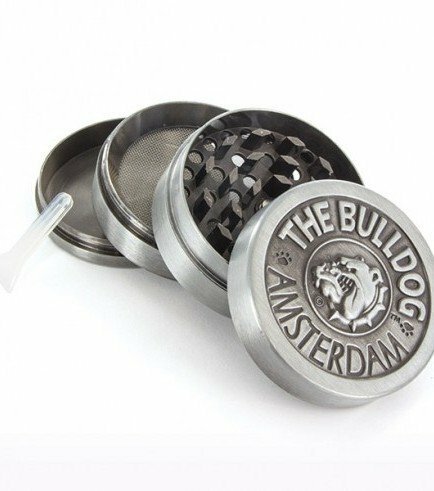 Grind your buds to the finest powder and catch all the goodies thanks to the grinder’s fine sieve and kief collection chamber! The diameter of this grinder is 50mm.